A bride not only deserves a perfect fit and five-star treatment on her wedding day—at The Wedding Studio, it starts at the appointment! We go the extra mile to ensure every bride feels comfortable and confident when her appointment is tailored to fit her individual needs. We ask that brides bring all preferred undergarments for formal wear, so we can take care of the rest to ensure your utmost privacy and comfort throughout the appointment—and you can envision your dream day more clearly than ever before. 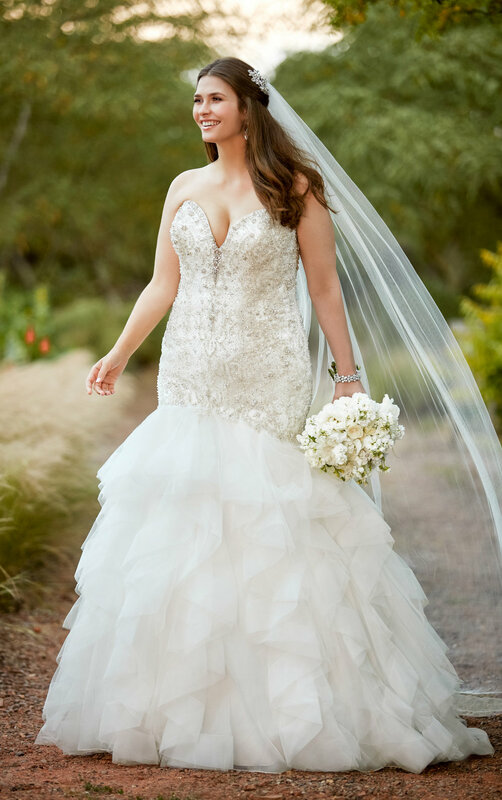 See the entire plus size wedding dress collection on our Pinterest Page!